An oasis in the big city… If you know how to find them, many places offer an escape from the crowds, the heat. This is my secret place, the city archive. This entry was posted on October 18, 2010 by robthefrog. 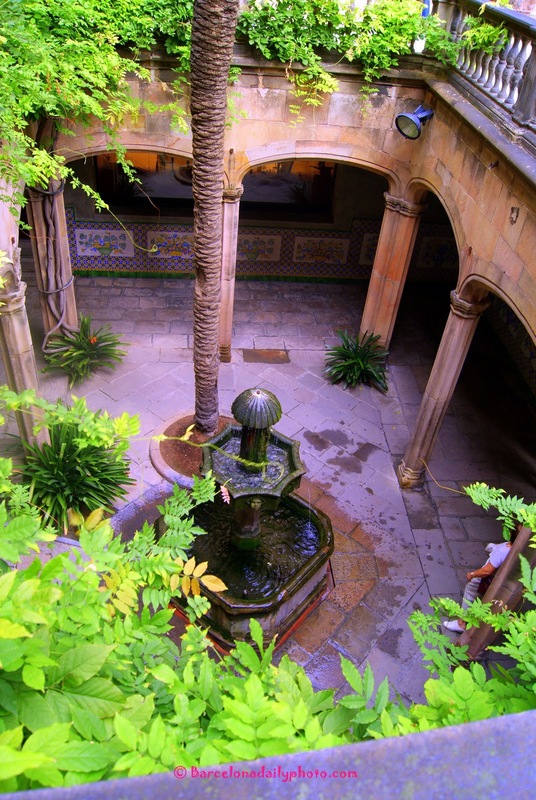 It was filed under Barri Gotic, cathedral, gardening, old town . I love these patios! This one is a beauty. It looks like a wonderful place to rest for a while. Nice photo. But, now all of your readers know about it, too! Glad to discover your blog and get a glimpse of your part of the world, the way you see it. Very nice pictures, well done! Really looks like an oasis. I would love to spend one fine day in such serene place. like a secret veranda?! cool! I do understand you like sitting there, Rob! As usual, great photo captured! Your really brilliant at finding these secret places! Me encanta este lugar! Un saludo! It really looks like an oasis, a quiet place in a lively city. Have a nice day! Glad you have that secret oasis. Mine is the garden of the Citadel. You hardly ever see any people there. Hey, there's a face in your fountain! Well said… and sometimes these places are not well appreciated and I found a few in my city. Great find yourself.